My user gets to choose between using data they've already entered or using custom data on a one-off basis. 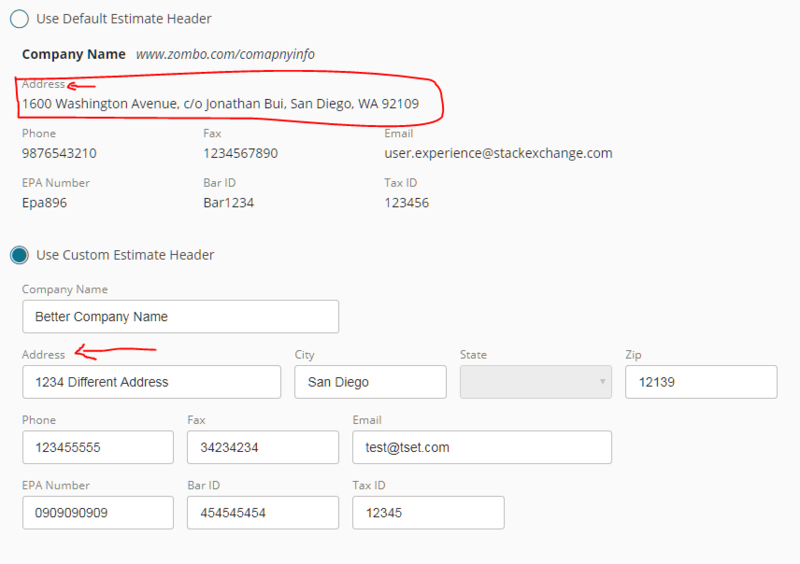 When viewing the previously entered data, Address refers to the entire address of the business. When entering custom data, Address refers only to the street number and name. I think this might lead to some confusion. Any ideas on what the labels should be? will make the purpose of that field very clear. Not the answer you're looking for? Browse other questions tagged labels addresses or ask your own question. Use only “street address” and zip fields for credit card form to meet AVS?